An aluminium box is the ideal packaging for a wide array of applications. 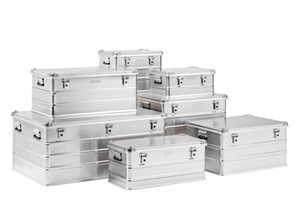 Aluminium boxes are lightweight but extremely solid and robust. Within the Defender aluminium boxes assortment the KA44 series is the basic model. You profit from the smart construction of the Defender range for a competitive price. Lightweight and very practical to use. De KA64 series has thicker plate material and this alu box has corner castings for reliable stacking. Alu box Model KA64 is suitable for the heavier work because of the strong, stable and clever construction. The KA74 series is the showpiece. 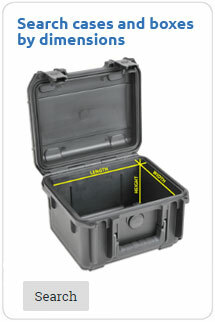 The boxes are equipped with super strong plate material, extra solid hinges and grip handles. 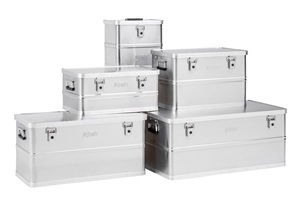 These aluminium boxes are splash proof, which makes them suitable for outdoor use. Absolute top quality! 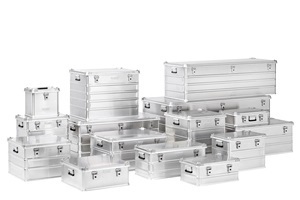 Aluminium boxes are suitable for numerous applications. Next to the light weight aluminium is insensitive to extreme cold or heat, antimagnetic and rust proof. You can divide the applications roughly into two categories: transport or storage. Storage could be a box for toys, garden equipment or a toolbox. Regarding transport, the aluminium box is often mounted onto a caravan or trailer. And have you thought about mounting it onto the luggage rack of your bicycle? You have a lightweight box that keeps your stuff dry and safe, and it looks cool too! 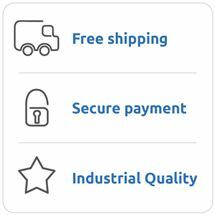 In short, an aluminium box is suitable for almost any application.